What is Yelp Call to Action? 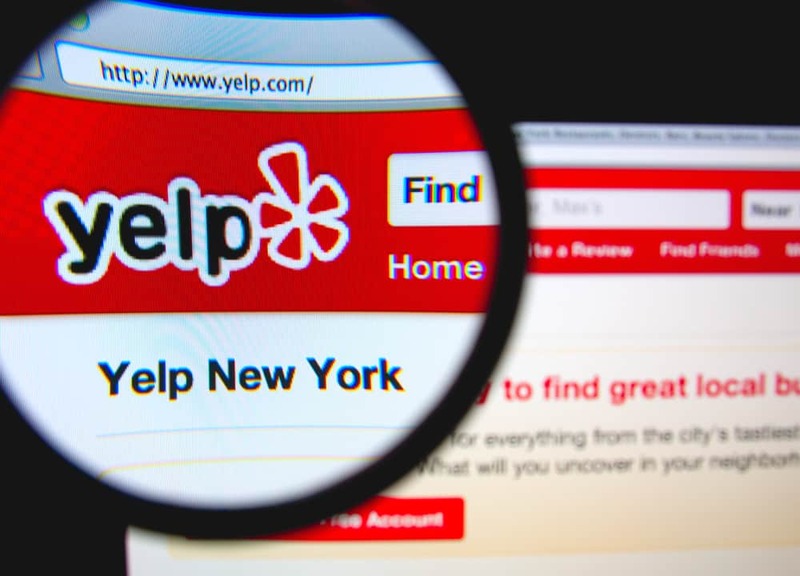 Online review site Yelp averages close to 180 million unique visitors every month (across its versions for mobile, desktop, and app). Great reviews, a positive brand reputation, and high-quality business photos can help convert some of those visitors into your customers. Another way to attract Yelp users to your business is to use Yelp Call to Action through your Yelp for Business account. What is Yelp Call to Action? It’s a feature designed to help businesses on Yelp promote a desired transaction directly from their business page. The desired transaction can be anything from scheduling an appointment, printing out a coupon, or buying tickets to an event. The offer appears on the listing, and is designed to attract people who are ready to make a spending decision. As part of Yelp’s advertising program, Yelp Call to Action enables you to write free-form text and use an action button to help convert Yelp users into paying customers. It links consumers directly to an order form, coupon, or page on your own website. Consumers can view and use your Call to Action button on both desktop and mobile devices, and you can have separate offers for desktop and mobile running at the same time. Yelp is selling the Call to Action feature to businesses as a form of advertising. According to Entrepreneur, Yelp’s local business advertising packages typically cost between $300 and $1,000 per month. Each business can customize the products or services it wants to promote. The Call to Action feature is included in some of Yelp’s advertising programs. To see if it’s currently available in your program, visit the Billing section of your Yelp for Business Owners account. If it’s available and you’d like to enable it, contact your Customer Success Manager at Yelp. You’ll find their contact information in the Billing section, too. You can edit your Call to Action by going to the Call to Action section of your Yelp for Business Owners account. Click edit. Please note that any edits are subject to approval, which may take 2 to 3 business days. Choose a unique Call to Action. Don’t pick an action that isn’t already possible on your Yelp page. If you already have a widget or link that enables Yelp users to book a table reservation or call your office, there’s no need to use Yelp Call to Action for those types of transactions. Engage your visitors. Your Call to Action shouldn’t simply be a source of information or important announcements. While “Live Band Every Saturday” or “Happy Hour at 5 PM Daily” seems like very useful info, there wouldn’t be much reason for visitors to click your Call to Action. Give customers a good reason to click on the button, and deliver a good experience when they do. Test it. Third-party links are not allowed in Yelp Call to Action. 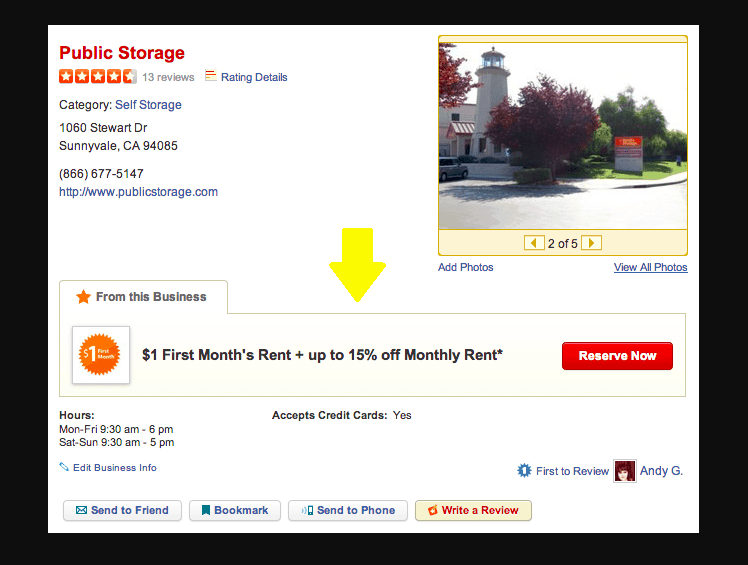 Links outside of Yelp should land on a page on your own website. Once you add a Call to Action, don’t forget to test it. Also, make sure that it’s mobile-optimized to best convert visitors into customers (and be sure to test it on mobile to make sure it works). Measure your success. Make an effort to track (via your Yelp for Business Owners account) how many additional customer leads your Call to Action Button is generating. Then finetune your message to attract more customers. One business known to make use of Yelp Call to Action is Ticketmaster, an American ticket sales and distribution company. Ticketmaster is implementing the feature on their Yelp listings by offering their page visitors (both on Yelp desktop and mobile) an instant way to purchase event tickets from the Ticketmaster page. Yelp Call to Action is an exciting opportunity to promote your business on Yelp, where online reviews and ratings continue to make an impact on the behavior of consumers. If you’re receiving more negative feedback than positive, Call to Action is at least a way to turn people’s frowns and rants into smiles and raves. If your Yelp listing is generating generally positive reviews and high ratings, the feature offers an additional way to maximize the potential impact of your Yelp business page and attract even more new customers. Another excellent way to improve your business. This feature is a great addition that will bring you more customers, visitor and success. The reviews are an integral part of your business, but beside them, this feature is the one that will expand your business. Another great job done by Yelp’s team.